Phoenix 85051 . South of Northern - East of 43rd Ave.
Citrus trees - lime, grapefruit.. Floor safe and security sys. wood floors, fireplace and built-in storage. Large lot with citrus and grapes! 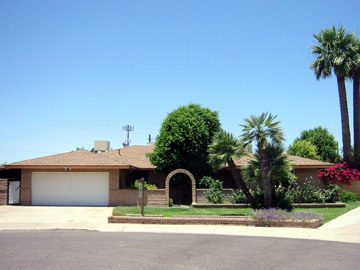 Fenced pool, dual pane windows and dual a/c's also comes with this conveniently located property. OPEN HOUSE HOURS July 10&11 sat/sun 11a.m. - 4p.m.